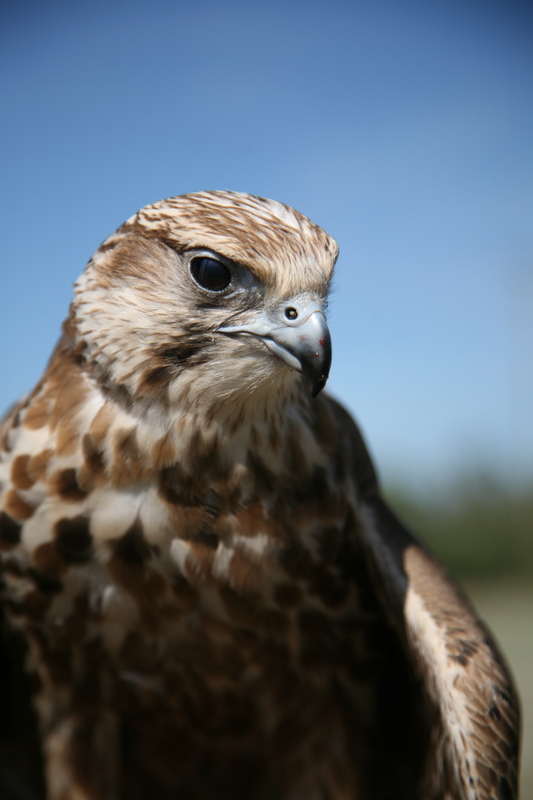 I know PETA types might raise their hackles over falconry. They don’t like the Iditarod, either. But, first off, both of these things (falconry and Iditarod) are really, really cool — the type of adventurous pastime that manages to inspire wide-eyed young children and scowling cynical adults alike. Secondly, I happen to find a working relationship between man and animal wholly respectable — the animals are truly doing what they love in both cases — and after spending time with falconers and mushers, I’d be hard-pressed to name folks who love their animals (birds and dogs) more. 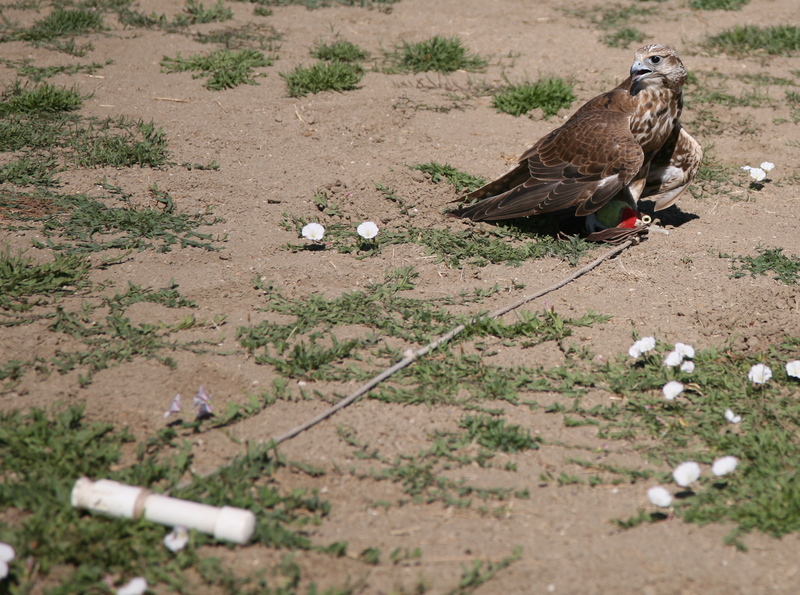 Above, the falcon is exhibits a behavior known as mantling — covering her “prey” after a “kill.” In this case, the prey is a lure (swung on a rope by the handle on the lower left), and no killing actually took place. 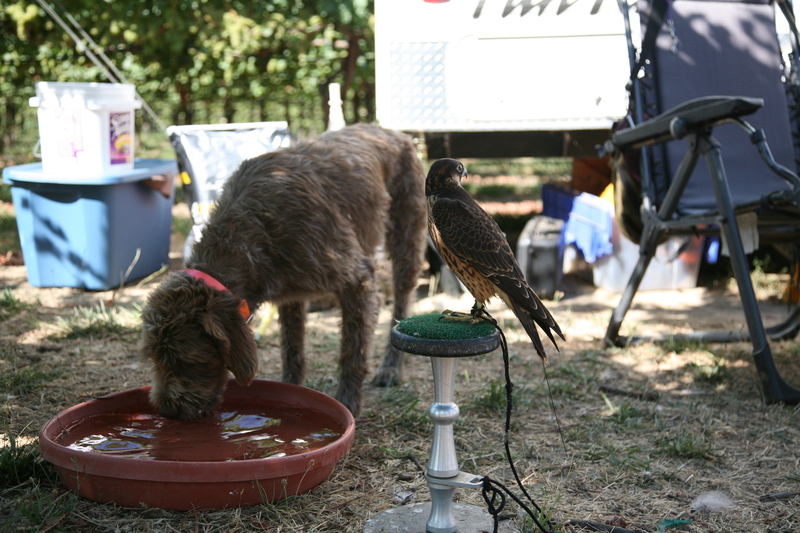 Below, Strega the Lanner Falcon, and beneath her, Ros the Saker Falcon. OK, enough gawking. Back to the farmy stuff: stay tuned for the next post on Foggy River. 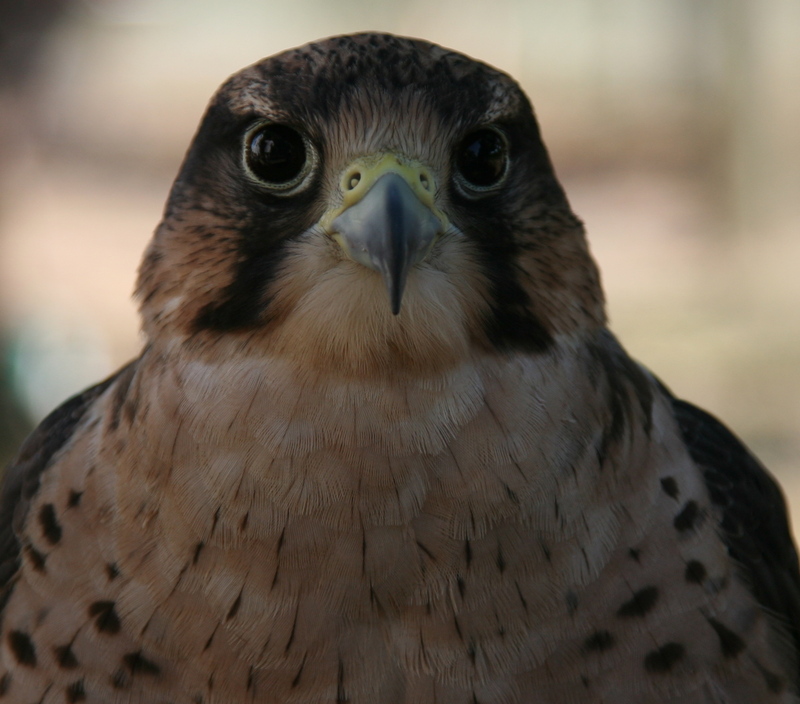 Wow…I’ve always loved Falcons and Falconry in general. It’s lovely to see a modern use for the art.